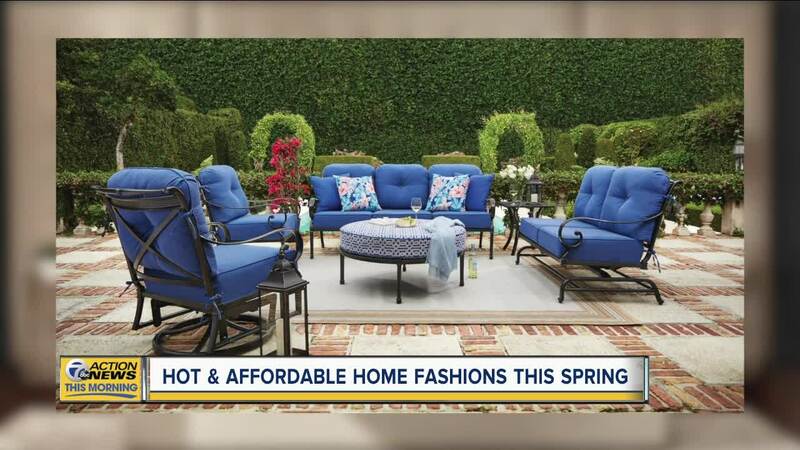 SOUTHFIELD, MICH (WXYZ) — Spring dreamin’! Art Van Furniture is celebrating the relaxed comfort of springtime with a spectacular selection of fashionable new home furnishings and lifestyle collections, many exclusive to the Midwest’s No. 1 furniture and mattress retailer. The 72-page Art Van Find Your Fab Spring 2019 catalog is available in showrooms now. The centerpiece of Art Van Furniture’s stylish spring lifestyle offerings is the Dreamer, a modular, deep-seated sofa in white or charcoal that can be configured in a multitude of ways. Available exclusively at Art Van Furniture, it has feather and foam cushions that provide cozy, sink-in comfort and laidback lounging support. The Dreamer’s six pieces, including an oversized ottoman, offer great versatility. Art Van Furniture’s popular Michigan-made Detroit Collection expands with the introduction of Detroit Bedroom. Handsome headboards, dressers, nightstands and bedframes in solid wood can be customized to complement individual tastes. The Detroit Collection is also introducing four sofas with the line’s signature gel seating. Other sofas taking centerstage are Flexsteel’s line of motion furniture including four new frames. The retailer’s exclusive Style Collection has four new customizable frames ready for delivery in less than a month. The catalog highlights other exclusive Art Van Furniture collections such as Roma Leather and Nigel Barker’s NB2 as well as accessories that add splashes of seasonal colors and florals. New parents can decorate their baby’s nursery with sturdy, stylish cribs, changing tables, dressers and gliders by trusted name brand manufacturers in the AV Baby department. Customers can select their favorite catalog page for a chance to win the featured items. For more information or to browse the catalog online, visit https://www.artvan.com/home .